To tempt your toes to walk barefoot, plant a sweet-smelling tactile-tickling chamomile lawn. Chamomile is a reasonably hardy plant – it doesn’t mind being squished – but it can’t take heavy traffic. It won’t tolerate the constant passing of feet or regular football matches, so choose a spot just outside of your main route. Or if establishing your lawn in a regular thoroughfare, lay stepping stones across the length of it. A sunny spot with free-draining soil is ideal, although chamomile will tolerate light shade. Clay soils will work, so long as you improve the drainage first. Grit, sand or pumice and organic matter should be dug in to a depth of at least 15cm before planting. 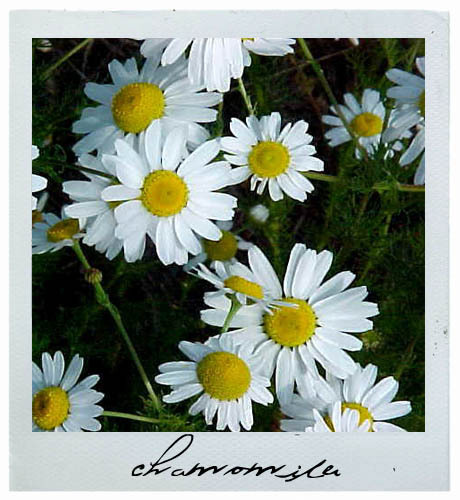 There are two types of chamomile: Roman chamomile (Chamaemelum nobile) and German chamomile (Matricaria recutita). The former is a hardy evergreen perennial and the best chamomile to use as a ground cover. The latter is an annual that is used to make medicinal teas. Roman chamomile can be used medicinally, but it’s more commonly used in essential oil form. The two look very similar. Both have daisy-like flowers and feathery foliage; and both have a distinct apple-like taste and aroma when crushed (the word “chamomile” comes from the Greek “kamai-melon”, which means “ground apple”). But the obvious difference is their growth habit. German chamomile grows between 30-50cm high while Roman chamomile rarely gets higher than 15cm. For a fragrant lawn, make sure you plant the perennial Roman chamomile. The absolute best variety for lawns is ‘Treneague’. It’s non-flowering type and grows only 5-10cm high. Don’t be tempted to take short cuts. You need to clear the area of grass and weeds first, otherwise you’ll be forever plucking out weeds. Lift the turf with a sharp spade to a depth of about 5cm, then dig over the whole area, pulling out any weeds. Add compost or grit if necessary and work this in. Leave to settle, then, if necessary, spray with Roundup a couple of weeks later to target any emerging weeds, or dig them out, ensuring your remove the roots too. You can buy plants at your local garden centre, but you need a fair number for even a small lawn. To give you an idea, 50 plants will cover 1 square metre when spaced 15cm apart. For a cheaper option, sow seeds (available from www.kingsseeds.co.nz). Sow seed in trays and transplant into small pots to grow on until large enough for planting out. Space plants about 15cm apart. Don’t let the soil dry out. Water well, especially in summer. In the first season, trim your plants lightly to encourage bushing and spreading out. Try not to walk on your lawn for the first 12 weeks while establishing, and keep traffic to a minimum in the first year. Depending on the weather and soil conditions, your lawn (if planted in spring) will start to look like a lawn by the end of autumn. Thyme makes a great lawn substitute and if you plant several different creeping types (don’t plant the upright varieties) you can get a patchwork effect with the different flower colours. Thyme likes a sunny spot in free-draining soil. It won’t tolerate wet feet, so add pumice or horticultural grit to improve drainage if necessary. Corsican mint (Mentha requienii) and pennyroyal (Mentha pulegium) also make great lawn substitutes and exude a delicious scent when stepped on. Or you can go for native plants, such as Isotoma fluviatilis (it has tiny star-like blue flowers), Acaena inermis ‘Purpurea’ (gorgeous purple foliage, best for light traffic), or Leptinella ‘Platts Black’ (tiny green and ‘black’ fern-like leaves). Oregano is also great in lawns. Can you suggest what to plant in shady areas of lawn? Basically shady areas of my lawn get badly affected by moss. There are several plants that don’t mind shade and will work as a lawn substitute. One is Corsican mint, a small-leafed, dense-growing plant that doesn’t mind part shade. It likes a bit of moisture too. Pratias will also grow in part shade and will tolerate some moisture. Pratias have either white or blue flowers. Some of the leptinellas, which have tiny fern-like leaves, will grow in part shade and moist conditions, although ‘Platts Black’ likes sun and dry conditions. Selleria microphylla is a superb lawn substitute with a very compact habit and small white flowers. It doesn’t mind the wet at all and will grow in part shade. Mazus novae-zelandiae actually prefers shade and some moisture and has very pale lilac, almost white, flowers. And lastly, Isotoma fluviatilis will grow in part shade and has starry, soft blue flowers. Uhm,,,,,this is probably quite silly to ask, but….. does one mow a chamomile lawn or other substitute “lawn”? Hi Melanie. That’s not a silly question at all. No, a chamomile lawn doesn’t need mowing. It can be trimmed with hedge clippers if it’s looking untidy, but generally it needs no care. Most other lawn substitutes won’t need mowing either. Thyme, however, will need a trim after flowering to prevent plants from becoming woody. I’m thinking of planting a no mow lawn. Do you know where I can get hold of Selleria Microphylla seed? I’ve actually seen it on TradeMe before, so try there. Otherwise, try No Mow. They may ship out. Might you also be able to give me gardening tips for my area- the Inland Northwest in the U.S.A.? I’d really like a floral garden, but the only space I have available is on the south side of my house – and it gets full sun and heat in the spring and summer. I have some snapdragons that do very well, and recently planted some Forget-me-nots (waiting for those to pop up). I also have 2 lavender plants that do well. Any tips? I can give you some general advice, but as I’m not familiar with USA conditions (I’m based in NZ), I can’t really guarantee the outcome unfortunately. The forget-me-not you planted are generally shade lovers although they will grow in some sunny situations, but possibly not full-on sun. Lavender is a good choice. You could also try other sun and heat-lovers, such as rudbeckia, echinacea (purple coneflower), sunflowers (they like quite a bit of moisture), cosmos, zinnias, salvias, scabiosa, statice, gaillardia and penstemon. That should keep you going for a bit! Hi Is a camomile lawn frost tender? Hi Julie. No, Roman chamomile is fully hardy. So no problem with frosts. I’m currently growing a camomile lawn from scratch and having sown around 30000 seeds directly into the area now have a lot of small shoots coming through. Do you think they will survive a frost? If not should I keep them covered til spring proper? Thanks. While Roman chamomile is a cold-hardy plant, very young plants are sensitive to long periods of freezing temperatures. Icy winds won’t help either. If your area experiences the odd light frost, your plants should be fine. With lengthy frost periods though you may wish to cover with a light mulch. If this is the first growing season, I would let it grow as it is and snip off just the flowers after they’ve finished blooming. Then in spring give it a snip to about 10cm high. The variety ‘Treneague’ needs no snipping at all. It’s non-flowering but it grows only 5-10cm high. But mostly shops sell the species only; this one flowers and grows a bit higher, so it will need pruning to keep it tidy. I’m in inner city Melbourne and wonder if a chamomile lawn requires much water. I’m trying to establish a low maintenance, (including low watering) garden. A chamomile lawn needs average watering – that is, not too much and not too little. The lawn will need water during the early stages while it’s establishing, and after that when dry or in hot water, otherwise plants may wilt. Hi Jane, after reading your comments about the various herb lawns I’ve decided that Corsican Mint would be right for us. The only problem is where to find the seeds? I haven’t been able to fine anybody selling them. Do you have any ideas please? Unfortunately I don’t know of anyone selling Corsican mint from seed. That’s probably because this herb is best propagated by root cuttings. That simply involves digging up a piece of root and cutting several pieces that include a growing node. These can then be placed into a seed tray with seed raising mix. Just push them into the mix, then water and let grow. You might need to buy a few plants initially, let them grow, then either divide them or take root cuttings to get your groundcover. Hi Jane, we are going to try and establish a chamomile lawn in our front yard, which is about 50m2. I understand that after the seedlings come out, one needs to thin them out to about 15cm of spacing per plant. However, do you have any suggestions for how we can actually step on the lawn to do this trimming? I wouldn’t want to damage the plants by stepping on them. I would actually sow the seeds in trays, then transplant them into small pots to grow on before planting them in the garden. That way you don’t have the problem of having to stand on the plants to thin them out. Also, you would probably waste a few plants by thinning them out. Ugh, I don’t really have the space to plant that many seedlings in trays/pots… It’s 50m2 we’re talking about, that’s 2500 plants… I guess I’ll just plant them straight into the ground, be careful when thinning out, and hope for the best. An update on my lawn. The only place I found selling Corsican Mint plants was the Boxed Garden in Christchurch. Sharon from the company was a great help. The plants are growing well and the scent is quite intense when they’re walked on. A question on Gardenias please. I planted 20 Professor Pucci about 18 months ago. They’re doing quite well, except they have never flowered. They have had Sequestron, Epsom salts, blood and bone, to keep them healthy. Is there anything else I need to do to get them to flower? Ah, yes. Gardenias can be tricky to grow. You seem to be feeding them right. Maybe you need to switch to rainwater, or they may simply need time to settle in. Did you see my article on growing gardenias (click here). Hope it helps. The problem with some clovers is that they have a tap root which can dig down deep. Even a plant as young as 8 weeks old can have a taproot that delves more than 60cm deep, depending on which clover you have. However, I’m guessing you probably have the common white clover. This plant spreads by stolons and self-seeds if allowed to flower and set seed. The seeds are disseminated by wind, water and animals. You can simply persist and continue to dig it out whenever it reappears (this will take several months up to a couple of years), or you can spot spray it (best done in autumn and spring). You would need to be careful not to get the spray on your chamomile plants though. You could also try feeding your chamomile plants so that they outgrow the clover. Clover often appears where the competition is weak, or in sparse lawns, for example. I came to this article because I wanted to know about long term care of Chamomile. I found the points about minimal trimming during the first flowering season, followed by a hard trim in the next spring helpful. Thanks John. Great idea. I’d love to see this lawn. Do you have photos? The lawn? No. The chamomile is mixed in with the grass and other plants in the lawn. It’s not practical to take an inspirational photo because of how hard it is to see. An experience for the nose, rather than the eyes. Chamaemelum nobile works very well in a mown lawn with grass. Mixing the seeds along with grass seeds and sowing like a regular lawn is the laziest way to enjoy chamomile. How thick it is will depend on soil and climate… by sowing with grass the best plant best suited will thrive. I mow two areas, one at 3cm and the other at 7.5cm. I have never seen flowers – but I mow weekly or better. Foot traffic is a non-issue as the grass will simply grow in a higher ratio as it tolerates people better. The chamomile takes longer to germinate than grass, but it does grow, and grows well. I’ve grown it on loam and on heavy clay based turf and it does fine either way. The plant has done fine in -3 frosts and it handles the physical stress from top dressing with compost or coffee grounds. When growing a patch in the garden I still favour seeds. I’ve found that very little weeding is needed – but that may just be because I’ve started with clean soil.. I favour sowing in autumn (possibly because I have a bare patches on my lawn after removing a paddling pool) and keeping the patch trimmed to around the width of my hand. I trim this way to encourage the plants to grow into a dense cover. When the plants start to race for the sun in spring I let them go. I let them go to seed and collect it to oversow and for use elsewhere. The patch does get scraggly as the plants go to seed. Pruning back to hand width will result in bare patches. Diligence is now required with weeding. If a dense cover year round is desired then keeping them trimmed year round is best practice. Next best is chopping them back a bit at a time over a month or two. As said in the article above the ‘Treneague’ variety is the one to use for a lawn that doesn’t need mowing. Again, thank you Jane for your article and for your replies to the comments above which were helpful and helped inspire me to use this plant widely and to experiment with cultivating it. From this distance it is impossible to tell that chamomile is in the turf. Which may, or may not be a selling point! It would be obvious in a highly managed turf though. Photos are 8 months apart, high summer and spring. From memory it took 3 months to go from bare earth to full coverage. Soil under turf is heavy clay. I’ve written a tutorial on sowing a mixed grass and chamomile lawn. My efforts are the result of being inspired by reading Jane’s article a few years ago. It differs because it is about enhancing a regular lawn rather than creating a dedicated chamomile only lawn. I also use the bare patch left behind after removing a paddling pool as the starting point. I hope that you the reader finds it adds yet another interesting angle on using this wonderful plant. Excellent article, John. 🙂 Everyone, go and have a read and see the photos. I’ve got an update on a Chamomile patch with photos taken over three years. Starting with seedlings through growth to flowering, going to seed, chopping back, and ending with new growth in Spring. From Autumn through Spring I keep it short as a ‘lawn’. This is rather easy as it doesn’t grow much after being cut back until late in Spring. Your website has been useful in helping me with trialing a patch of chamomile (with a bit of thyme) in my veggie garden to see if it worked before turning my entire lawn into chamomile. I have to say, I like it very much. I did a mix of planting seedlings I’d established in newspaper “paper pots” and a small area where I simply broadcast the seed. Both seemed to work quite well and a little bit of hand weeding to begin with has been enough to control the situation until the chamomile fully took over. It’s getting to a point though where the chamomile is getting quite tall and starting to fall over a bit. It’s making me wonder if I should go for Thyme instead as it’s much lower growing. I also tried to give the chamomile a trim but what’s left is pretty ugly. I might have been a bit aggressive. Maybe it doesn’t need trimming at all? I’ll get some photos on my website soon. I’d definitely love to see some photos. As for the chamomile itself, did you use ordinary Roman chamomile? This one does grow taller and needs clipping. For lawn purposes, it should really be clipped constantly so that it doesn’t grow so tall. The Treneague variety, however, shouldn’t need clipping, or only occasionally. It grows only 5-10cm tall. It doesn’t flower but it is the best variety to use for lawns. You can’t get this one from seeds unfortunately, so it can be quite expensive to buy the plants. Iv had a Camomile lawn for about 6 years I painstakingly remove the moss by hand every Spring I was wondering if I could use Moss Killer? Also could you tell me how I can feed the lawn. Unfortunately selective lawn weedkillers cannot be used on chamomile lawns. You will either have to persevere and dig out the moss or do spot weedkiller treatments, though you would have to be careful not to hit the chamomile, of course. If you’re getting moss, it usually means your lawn is not very free-draining, in which case I would have thought the chamomile wouldn’t grow so well. You could give your chamomile lawn a light feed with an all-purpose fertiliser in spring, or apply a slow-release granulated fertiliser. I would feed it only once a year. Hi I have bought my first home and starting to design my 800sqm garden from scratch..
Outside my craft room I’ve laid some pavers and planted chamomile lawn plants along the side and would love the thought of a herb lawn. But my question is, can i plant more in my existing lawn that has a range of weeds different grasses including prickles? Hi Sheryl. You can, but you are forever going to have weeds and prickles in that lawn if you don’t get rid of them. If you want a solely chamomile lawn you have to get rid of all the grass and all the weeds first before planting chamomile. 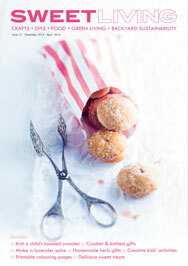 Love the blog, thanks, Jane. My treneague chamomile lawn, planted 1 year ago, smells lovely and attracts wildlife including loads of native ladybirds. Unfortunately, it has grown unevenly due to areas that are dry. I’m watering the sparse areas and also thinking of feeding them. Can I feed in January/ Feb? I want to get the lawn looking nice for Spring. If so what are the best options for feeding? Hi Ruby. I gather you are based in the UK, in which case it would be your spring in January/February. Yes, that would be a good time to feed. Just give them a diluted liquid feed a couple of times, two weeks apart. They don’t really need a lot of food, so don’t overdo it. They do appreciate watering, though, as you’ve discovered.